Southern Ontario's favourite Greek food truck! We serve gyros, souvlaki, breast of chicken & vegetarian options served on hand stretched pitas! Healthy Greek salads. Plus our very own OPA and ATHENS fries. Sorry, we don't know when Pappas Greek On Wheels will be open next. We last saw them on July 23, 2017 at Spencer Smith Park. Check back soon — as soon as they post their schedule it will show up on this page. 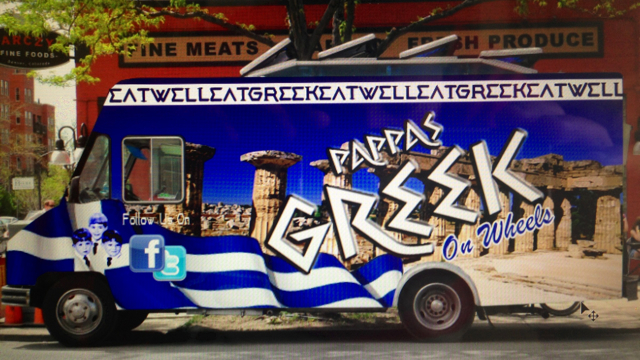 Do you own Pappas Greek On Wheels? Sign in to post your schedule.